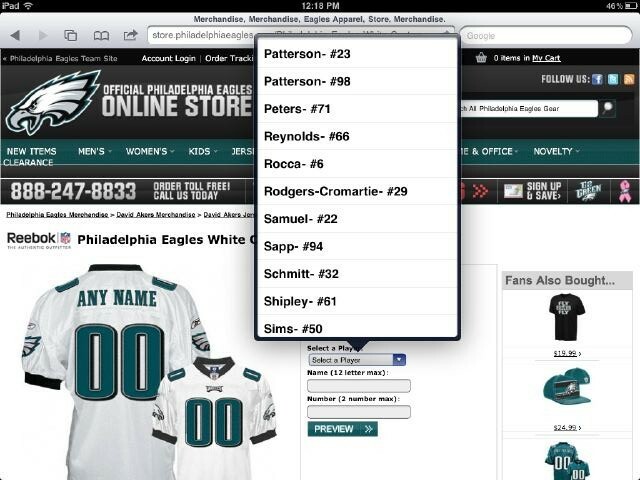 While no deal has yet become official, don’t you find it a little odd that the Eagles official site is already selling jerseys of a player NOT EVEN ON THE ROSTER? Hmmm…seems a little suspicious don’t you think? If you don’t understand what were talking about, look at the 6th name down on the list.